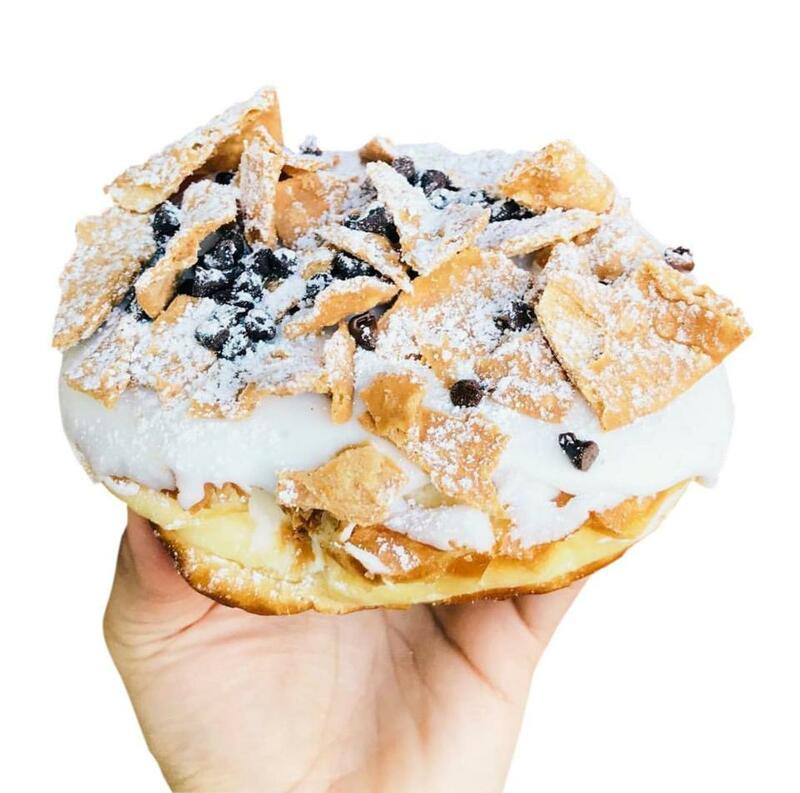 The tiramisu doughnut at Rocco’s Doughnut Co. in Millbury is filled with coffee-infused mascarpone, topped with whipped cream, and adorned with ladyfingers. You need a plate and cutlery to eat it. Nutter Butter cookies are embedded in another doughnut. Kit Kat bars placed on top of a thick chocolate glaze on one other will make you grin.